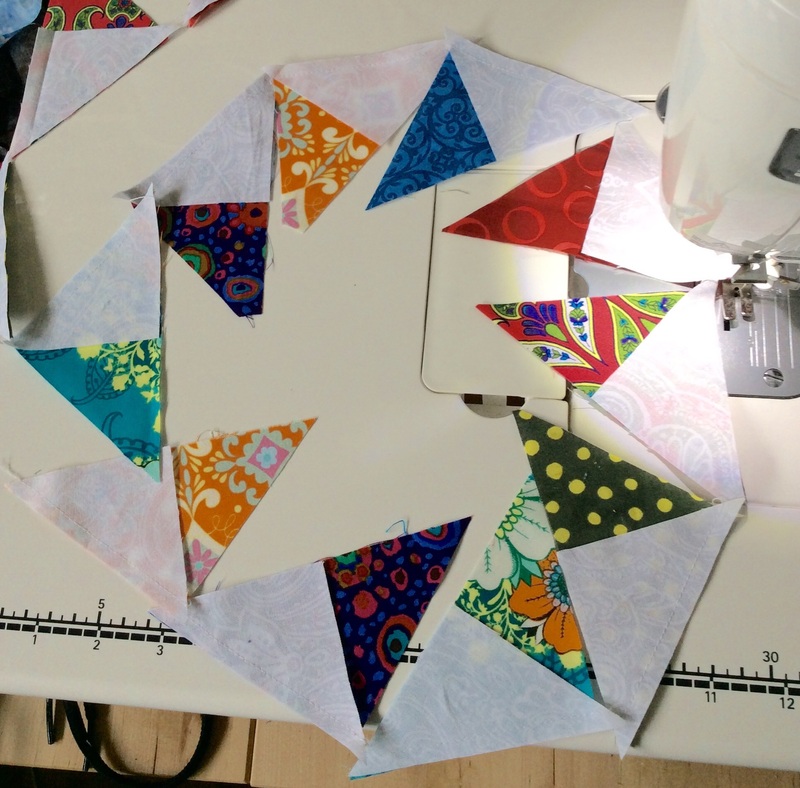 The fourth and final clue in the Scrappy Stars Around the Corner mystery QAL came out quite some time ago (April 12) but I didn’t get to it until this week as I was caught up in the red and white X quilt top instead. That one out of the way, I got to work on sewing blue and black triangles and squares together again. The centers of these 12 blocks, like the star blocks, are basic economy blocks, and then additional corner layers add a bit more complexity. My point matching skills got a work out and as always, I improved over time so it is best not to look too closely at the earliest parts. 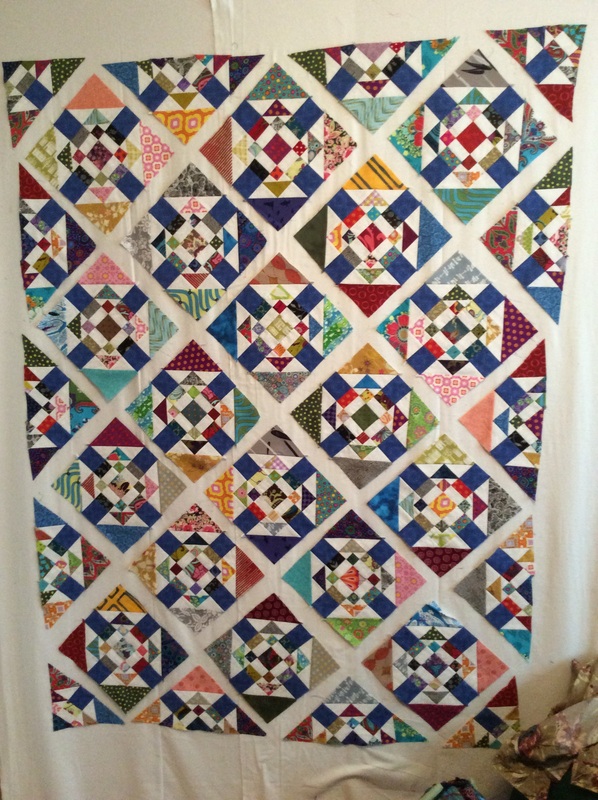 I’m eliminating the sashing that the pattern calls for as the quilt will be plenty big without it. It takes up my whole design wall, floor to ceiling and side to side. I couldn’t get far enough away in my small craft room to fit the entire layout in the iPad camera. 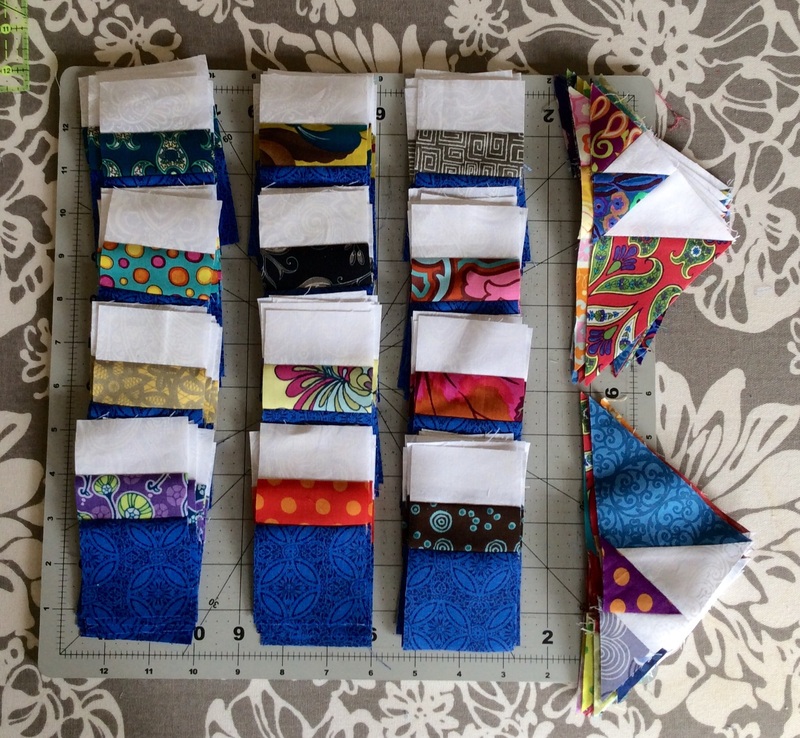 Just nine more blocks to sew the last corners on and then I can sew it all together. The blue and black make a restful change after all the red I’ve been working with. 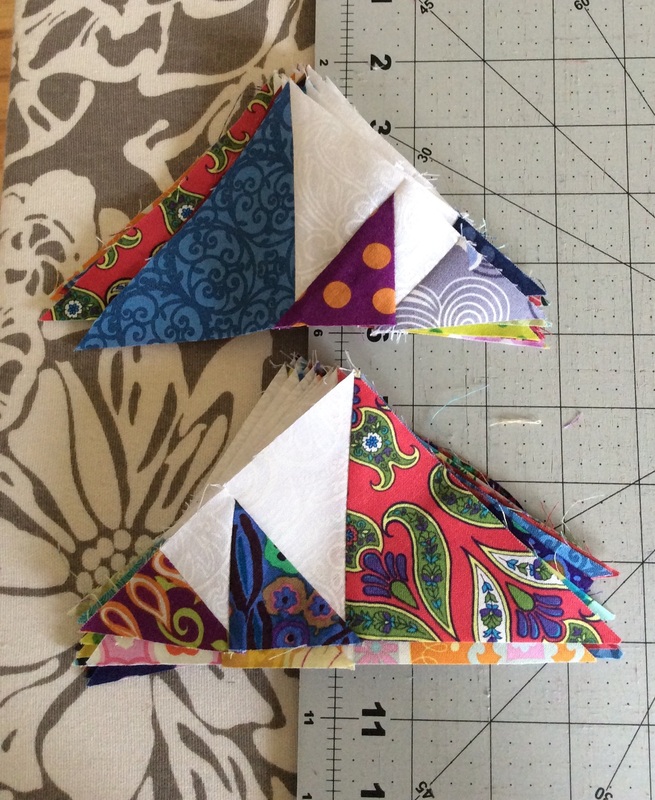 I devoted this weekend to clue 3 of the Scrapitude Mystery QAL. My sewing mojo was really off. I kept making really dumb mistakes, and my seam ripper got quite a workout. And my seam allowance was all over the place. Usually I’m fairly consistent, but despite using the same line I normally do, my blocks grew and shrank randomly. I couldn’t even read directions correctly. My eyes saw 4 1/2″ despite the fact that the number turned out to be 4 1/4″. That doesn’t help in making correctly sized blocks. Nor does forgetting to cut squares into 4 sections, not two. Despite all this, the various parts of clue 3 are done. Not necessarily done well, but done. My best guess at how the various pieces are going to come together. But it there are a lot of squares left, so there are still some twists yet to come. 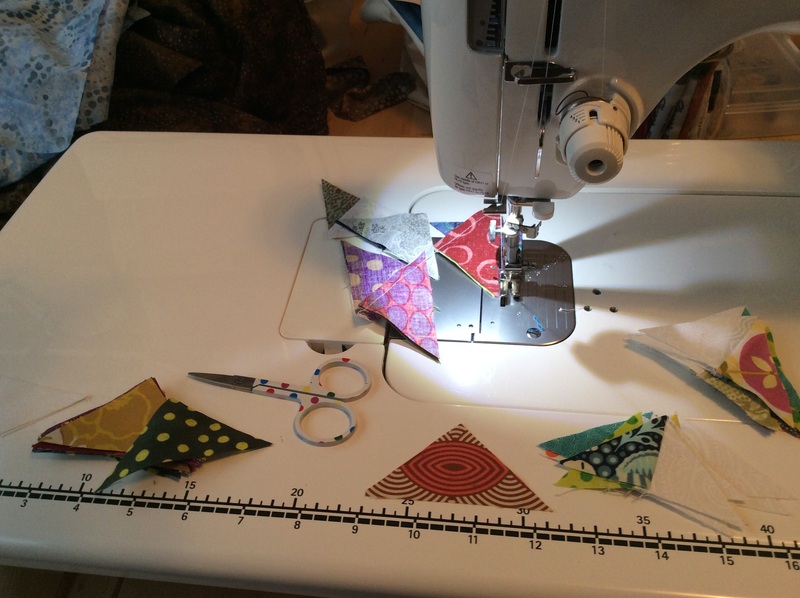 92 degree weather is not optimal sewing weather. It isn’t quite that hot in the sewing room, but the steam heat from the iron doesn’t help. So I’m moving slowly and not making a lot of progress. 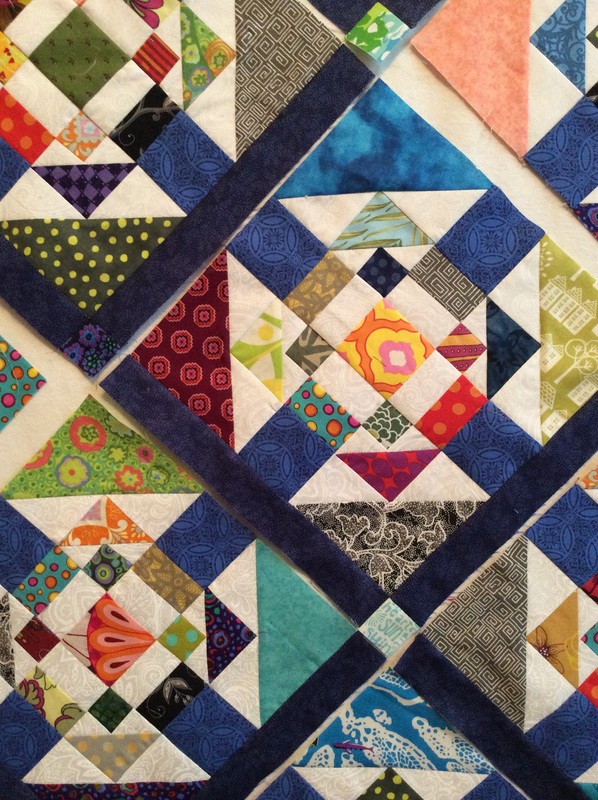 I’m at the sashing stage of the Scrap-in-a-Box mystery quilt, which isn’t a mystery anymore as the last clue has been revealed after a delay for a very sad event. 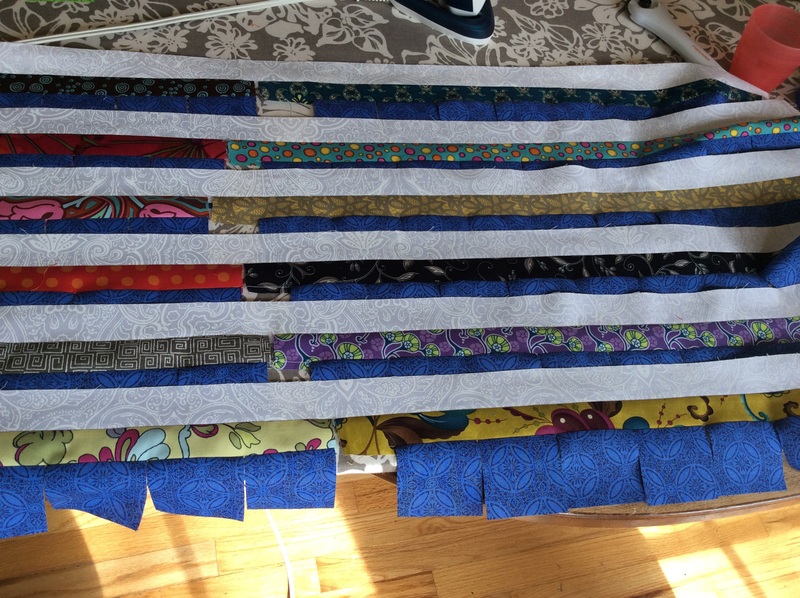 I chose a dark blue leafy fabric for my sashing, with more scraps for the corner stones. I’ve a stack of essays to grade, so I’ve been alternating. Some essays, some sashing, then back to the essays. But I’ll need to stop both soon as it is almost time to go cheer my sister’s derby team. I’ve only gotten about 1/3 of the sashing added, but it is enough to know I’m going to like the final results. Not a quiet quilt though! 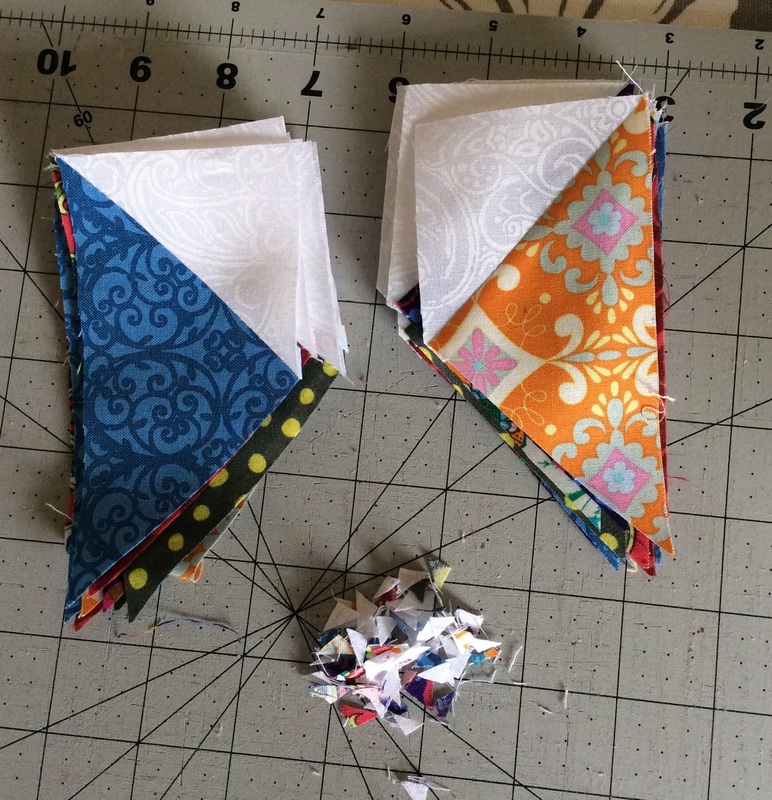 Clue 3 of Scrapitude’s Scrap-in-a-Box mystery quilt came out last week and I’ve been working on it on and off the last couple days. 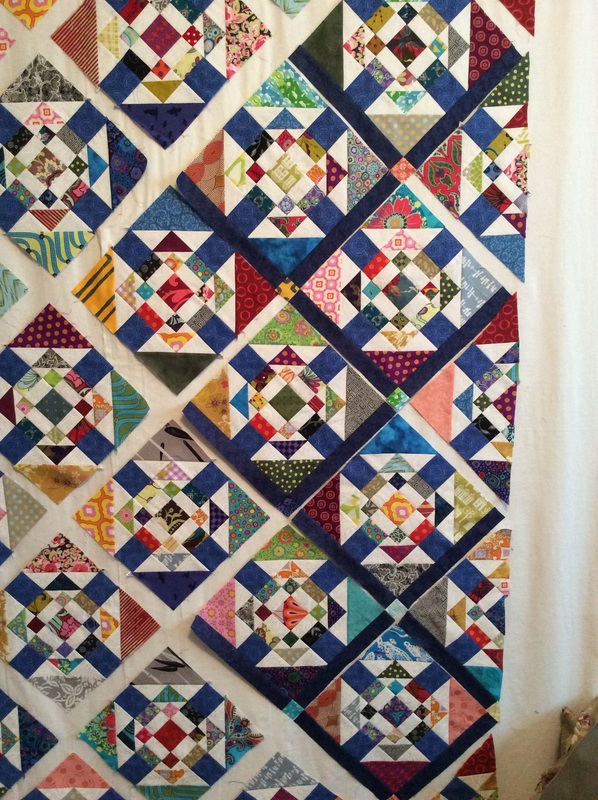 It still completely escapes me what this quilt’s layout will be but it is going to be colorful! And clue 3 is done! The next clue will be out in mid April, so this project goes back in its box for awhile.